As promised, here is another 4th of July dessert recipe. These sparkler pretzels are simple but fun and would make a perfect addition to any summer BBQ! Place your chocolate chips in a microwave safe bowl, then microwave until melted. Heat in 20 second increments, stirring between each one. Be careful not to burn the chocolate! 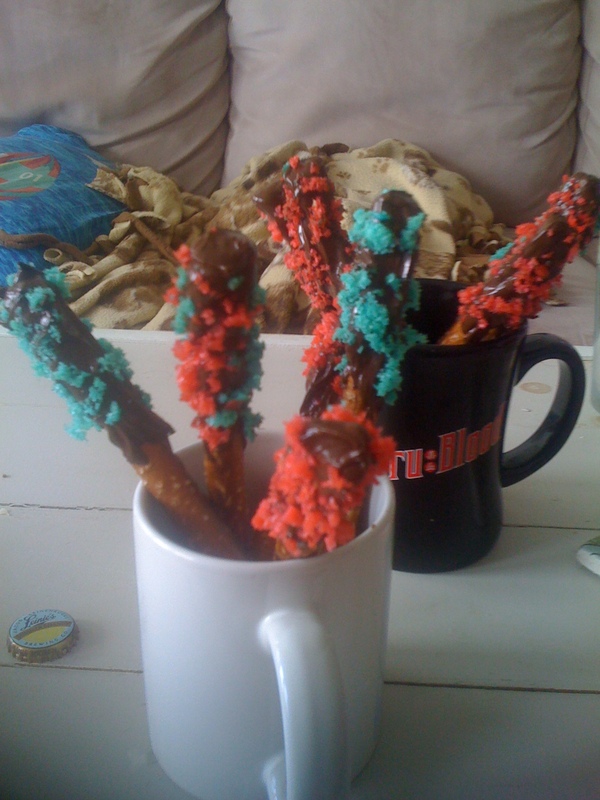 Dip your pretzel rods into the chocolate, coating the top of the pretzel. Then, sprinkle pop rocks on the coated end, pressing them into the chocolate gently if need be. Stand your sparkler rods upright in a cup or mug, then place them in the fridge until the chocolate has set. When you eat them, the pop rocks sparkle and pop- it’s like fireworks in your mouth! 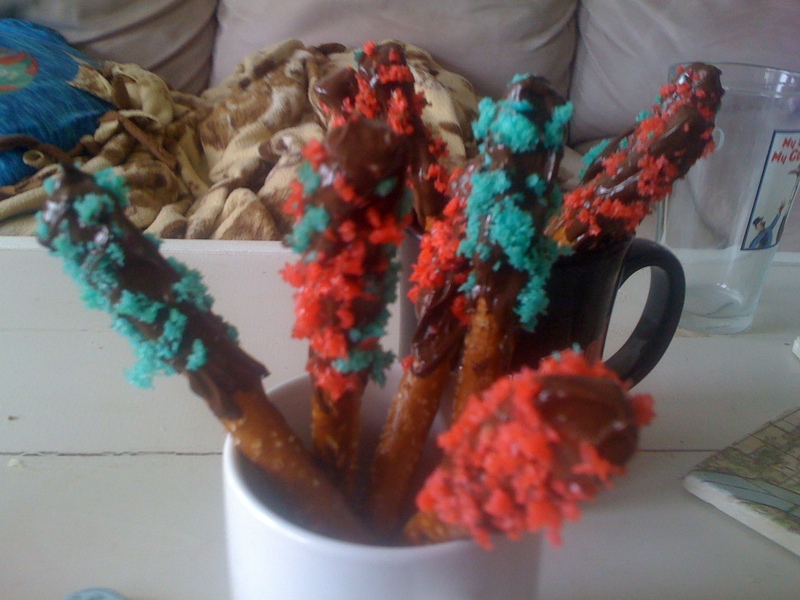 And the saltiness of the pretzel is perfect with the chocolate. For such a simple dessert, these really deliver!